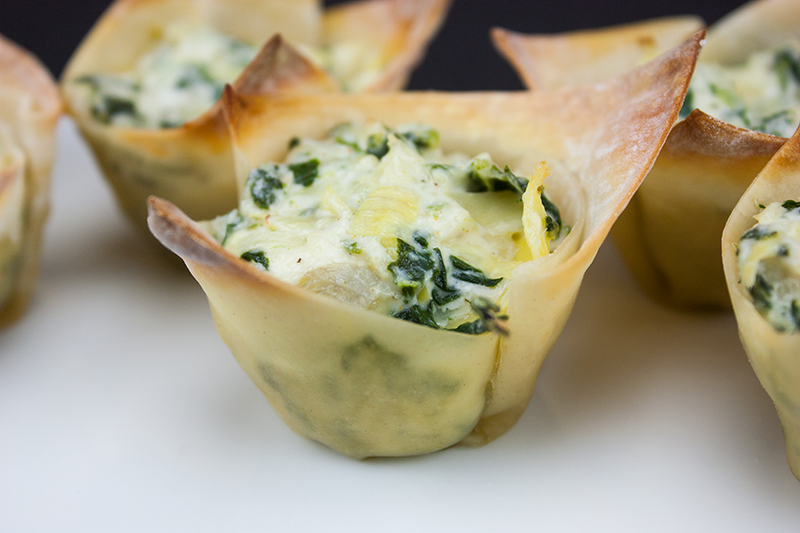 Combine the softened cream cheese, blue cheese, cheddar cheese and sour cream. 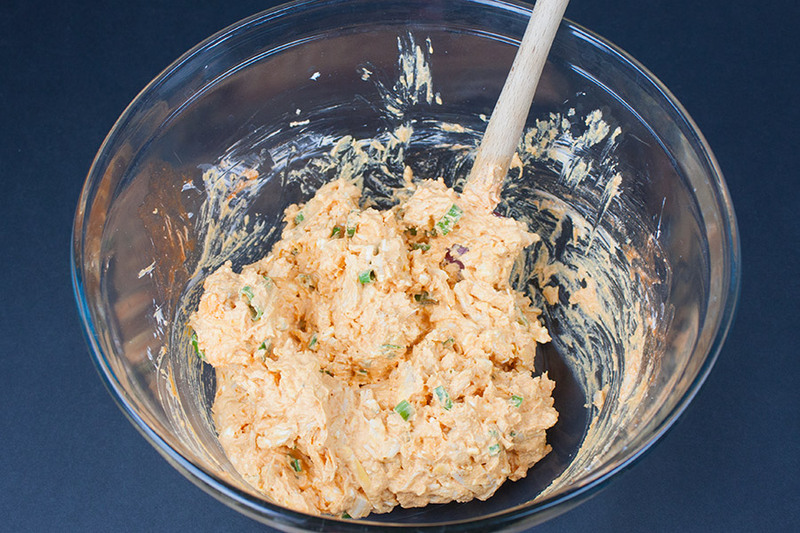 Add the shredded chicken, green onions and buffalo sauce, stir until well combined. 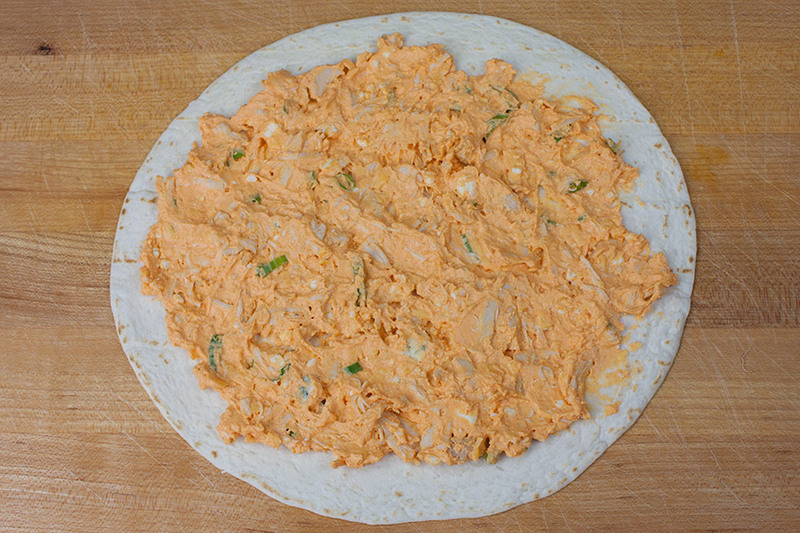 Spread about 1/2 cup of the filling onto the tortilla, then roll tightly. Place on a plate, wrap with plastic and refrigerate for a few hours. 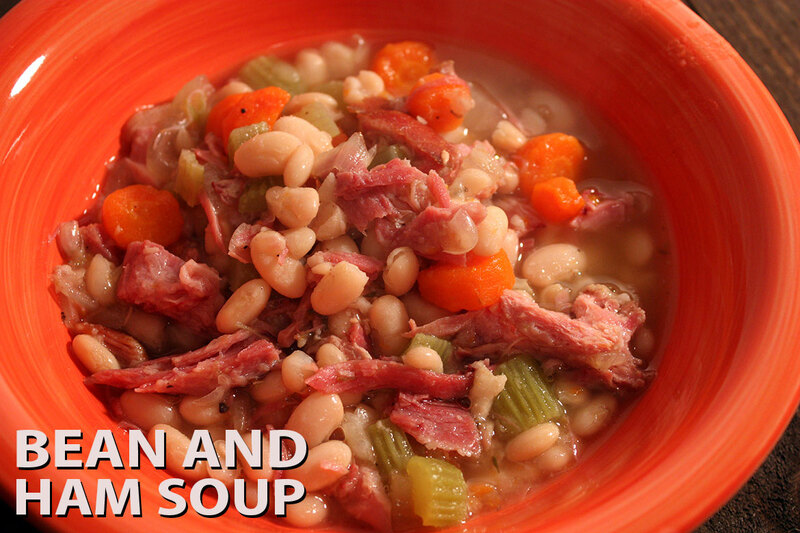 This helps them hold together for better slicing and serving. 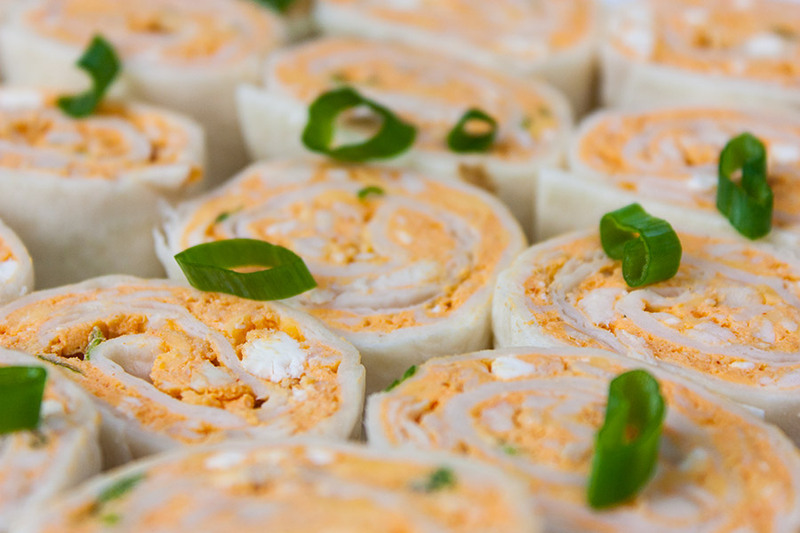 Easy buffalo chicken pinwheels are always a hit and sure to please! 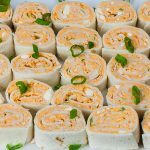 Easy Buffalo Chicken Pinwheels - A perfect party, barbecue, game day or large gathering appetizer. 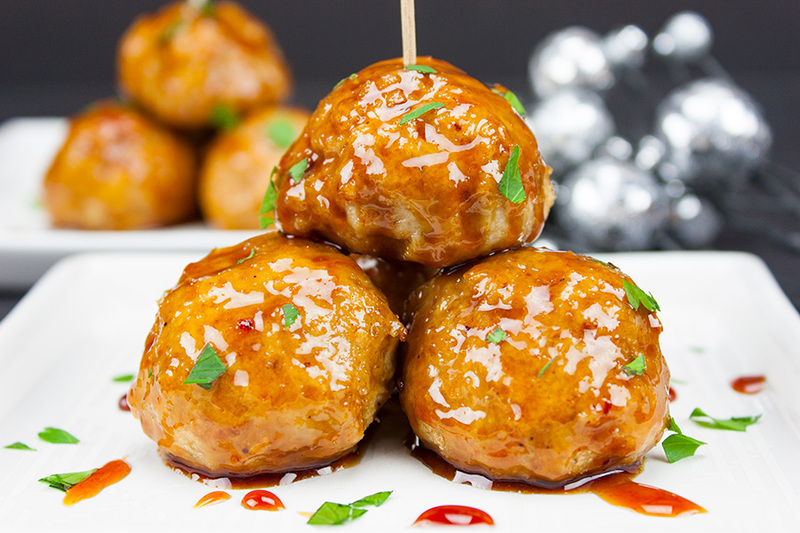 Cool, creamy, tangy and loaded with buffalo wing flavor. In a mixing bowl beat the cream cheese with an electric mixer. 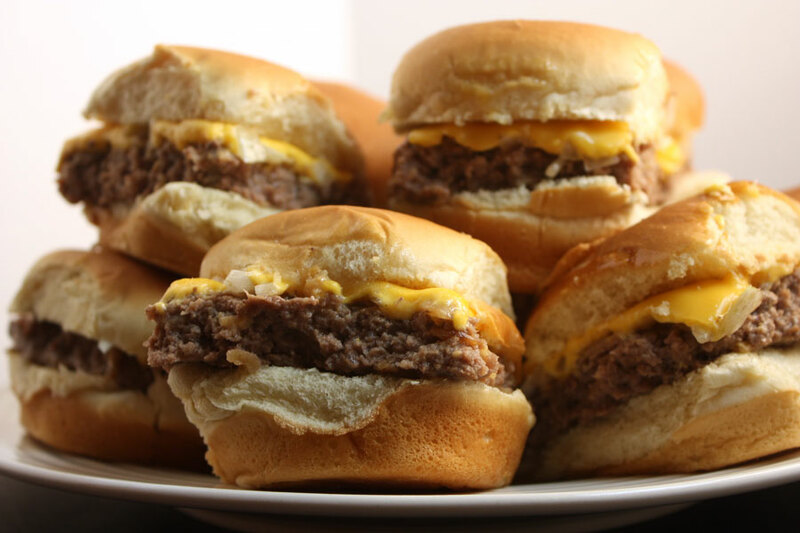 Stir in the blue cheese and cheddar cheese. 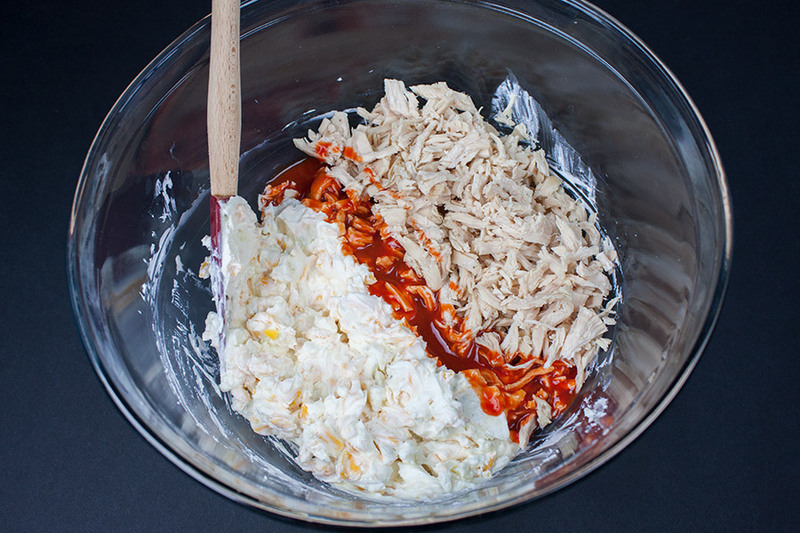 Toss in the shredded chicken and 1/2 cup buffalo wing sauce. Lay a tortilla out on a cutting board and spread about 1/2 to 3/4 cup of the chicken mixture almost to the edges. Roll the tortilla up tightly, place on a plate seam side down and then repeat with the remaining tortillas and chicken mixture. 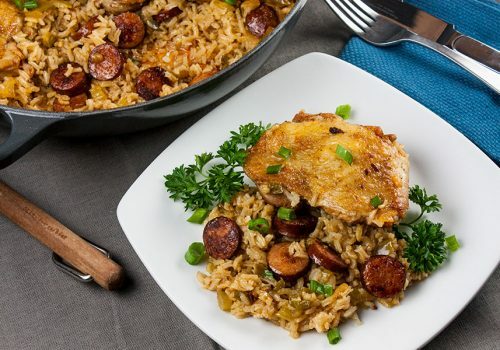 Wrap the plate with plastic wrap and place in the fridge to chill for about 2 hours up to overnight. 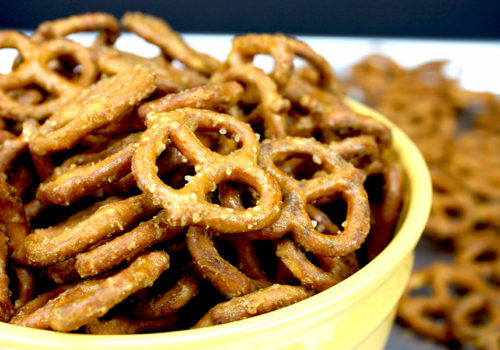 Remove from refrigerator and unwrap. 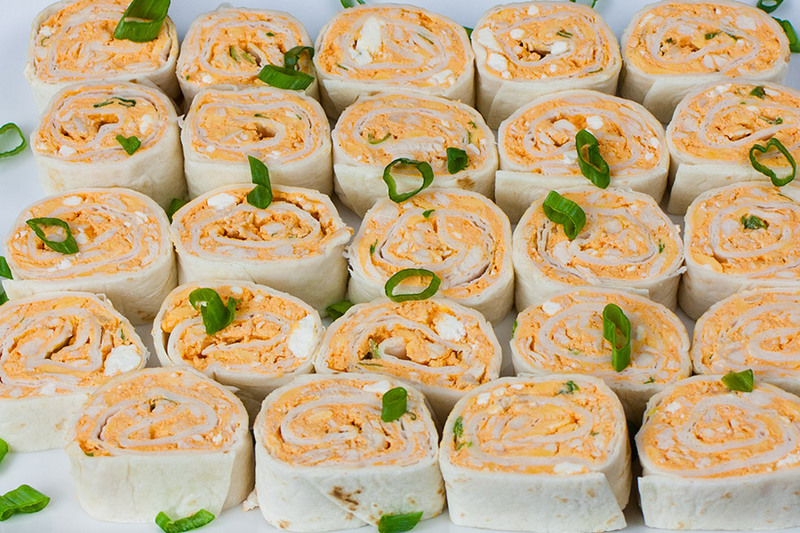 Slice each rolled tortilla into about 1-inch pieces, discarding ends. 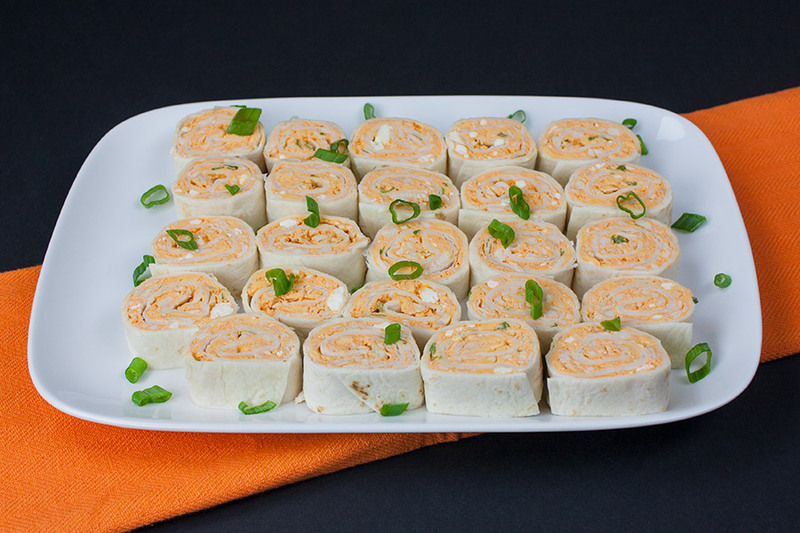 Place pinwheel slices on serving plate or tray.